Lars Remodeling recently completed the home remodel of the C. Arnholdt Smith house on San Juan Road in San Diego. Originally built in 1936, it was designated a historical property in January of 2009. The Mission Hills home began as a five-bedroom house with five-and-a-half baths. It was a bi-level with a walkout basement. It’s been updated and changed several times over the years. The most recent renovation of this Old Town jewel was a full home remodel. 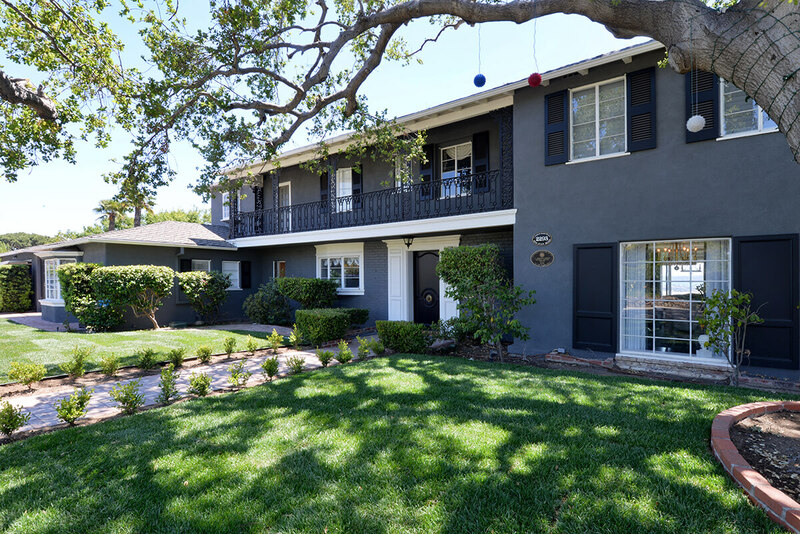 As part of a neighborhood real estate project that began in the 1930s, the original layout and some of the later changes were designed by a master architect named Ralph L. Frank. The adjacent property was bought and integrated into the Smith residence in the 1950s, when the neighboring house was torn down to expand the existing structure. It included the addition of gated brick garden walls to enclose a large section at the rear of the property. More work was done periodically through 1967. A major home remodel and expansion was completed in the mid-1980s that included plaster window surrounds, a stucco first-floor façade over the existing brick and the addition of a cast iron fence. In 2007, the 5,533-square-foot home again received a major renovation, incorporating a more eclectic modern feel. Some of the changes made in the 1980s were reversed to reflect its look of the ’50s. The property was designated a historical landmark in 2009 by the San Diego Historical Resources Board on the bases of architecture, master architect/builder and historic person. Born in Walla Walla, WA, in 1899, Smith and his family moved to San Diego in 1907. He became a well-known banker and businessman with interests in real estate properties, transportation, the seafood industry and silver. As a civic activist in the San Diego community, he was the original owner of the San Diego Padres baseball team. Smith moved into the house in 1936, then moved out in 1967 when he and his wife divorced. He died in 1996. The house, located on San Juan Road on the hillside east of the Old Town area of Mission Hills, is a prominent landmark. Originally constructed in the Monterey Revival style, the home was among the last built as part of a subdivision purchased and developed by C. Arnholdt Smith’s holding company. It featured a beautiful view of the bay. This prominent San Diego landmark can be seen from as far away as the I-5 freeway. One of the greatest challenges of the Lars home remodeling project was incorporating the modern conveniences needed to live comfortably today without disrupting the home’s original character and vintage feel. The kitchen, for example, features wood flooring that harkens back to the 1936 appeal. It now merges seamlessly with the modern stainless steel range, and modern cabinetry and countertops that match the breakfast bar in the center. 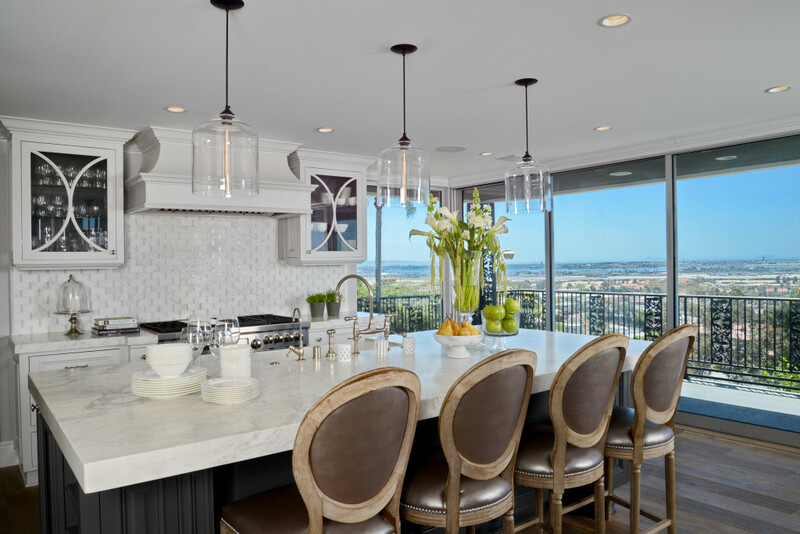 The kitchen walls are glass panels surrounded by short and ornate black iron railings on the exterior that create an antique look, but don’t detract from the breathtaking view of the Point Loma landscape and the water.